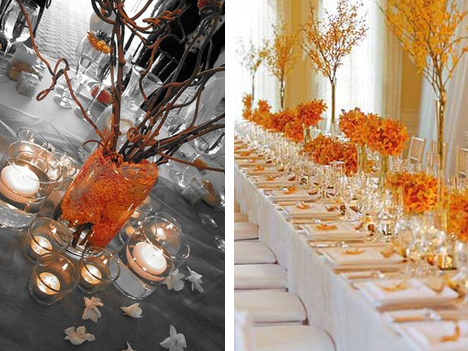 Autumn… the season of change, and what bigger change is there than getting married! From the beautiful shades of changing leaves, to the colors of the harvest, it’s difficult to choose a single colour palette that truly represents Autumn. But, if you’re planning your wedding in early, mid or late autumn there are some exquisite vibrant colours, muted tones and even glitzy metallic shades that can mirror the richness of the season beautifully. Not forgetting the amazing range of heart warming food & drink to comfort guests as the months get cooler. 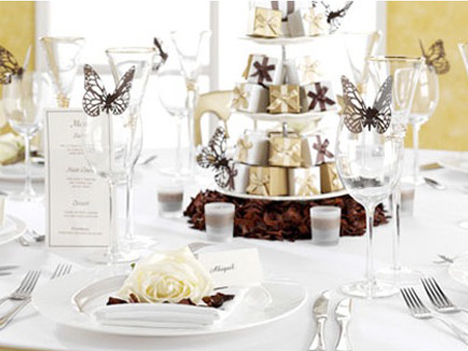 A bride of early Autumn, around the late September / early October period should consider coppers, creams, burnt oranges and soft golds within their colour scheme. As we move into October and around the Halloween mark, it’s essential to incorporate the vibrant orange of pumpkin, matched with metallic shades of gold, bronze, burgundy and rust to capture the essence of romance! Finally, entering late Autumn as the vibrant tones gradually turn into rich chocolate browns and champagne golds – matched with ivories and even hints of dusty pink, you can encapsulate the warmth of these sultry tones whether it be in your bouquet, chair covers, table decorations or bridesmaid dresses. Here at Sweetly Seated, the chair cover hire team is ready to enchant your day with the finishing touches that transform your special day into the fairy tale you dreamed of. In addition to our standard wedding chair covers, we also offer a wide range of organza sashes and wraps, including single-tone, two-tone, pearl single-tone and pearl two-tone in a variation of beautiful Autumn shades. They can really add that touch of elegance and sophistication that the room needs, and leave your guests feeling truly wow’d. They can be tied in simple bows or wrapped in alternative ways to reflect the theme and mood of the venue, either way they will set the room alight with warmth and romance. Take a look on the gallery and portfolio pages to have a look at how our beautiful wedding chair covers added the fairy tale element to our clients’ special days. 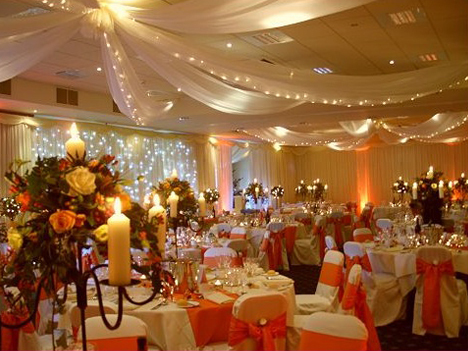 Use the get in touch box for any enquiries you may have about your big day. We’re here to help and advise and therefore look forward to hearing from you.